This Newborn Baby’s Thug Life Pose Is Going Viral! And He Becomes The Youngest One To Be Turned Into A Twitter Meme! 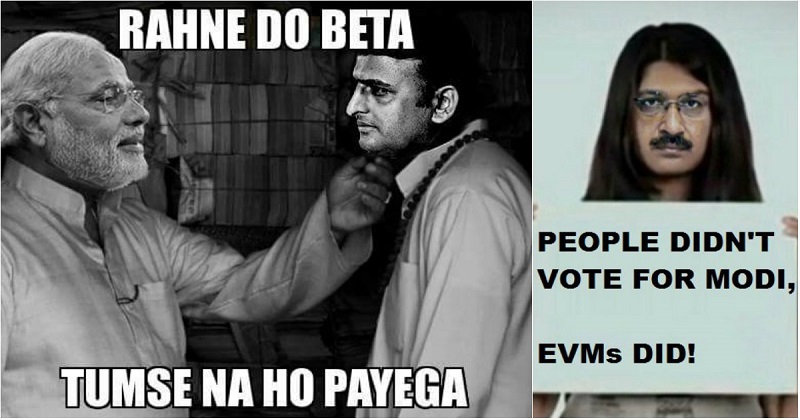 On this world of Internet, memes have become the triggers for generating humor. No matter whoever the person can be, a prime minister, chief minister of a president, memes have their sense of attraction and value. From movie stills to awkward group photos and funny expressions — we keep reading viral stories and sharing viral photos; this is the only source of ‘Good’ entertainment for many of us, isn’t it? Also, it’s the best place fully loaded with cute pictures and videos of babies captured while they do the wackiest things. 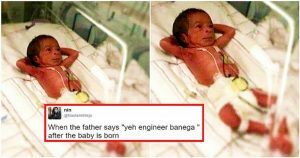 Recently, we saw a new-born baby walking fast right after being born going viral on social media, people went to call him as the Indian Usain Bolt and some even praised the boy hilariously as the new 4G edition. And today, a newborn baby’s photo became the next viral thing to get caught in that cycle. Coming to the point, a baby boy was clicked just after he was born. Now, you may think what’s so surprising in that, read the full story here! But, what actually grabbed all the attention was the adorable gesture of the little munchkin. One glance at the photograph, and you can see how he poses like a boss while lying in the hospital bed. This baby’s posture left everyone in splits and one netizen posted his picture on Twitter and turned him into a meme. As soon as the picture was posted, the hungry-for-fodder Twitterati gorged on it and thus, began the series of hilarious reactions on Twitter which are going to make you LOL hard. And he became the youngest star of memes on the social media. Crush- Are you okay ? While everything is done in good humor, we hope the baby stays healthy and keeps on exuding his swag.